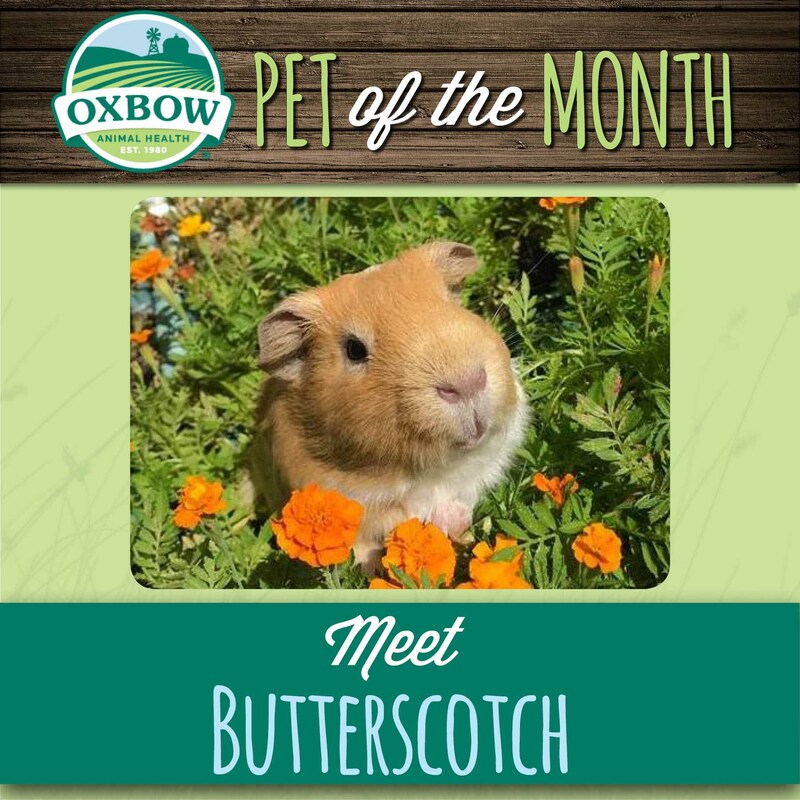 Congratulations to our Pet of the Month, Butterscotch! This three-year-old guinea pig loves Western Timothy Hay and posing for cute photos. Thanks for being a fan, Butterscotch! Would you like your pet to be considered for Pet of the Week? Follow Oxbow on Instagram or Facebook and follow the instructions on our Pet of the Week posts to submit your photos!